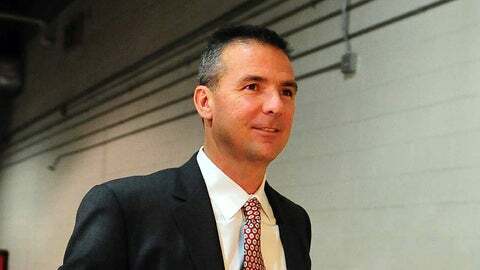 Wonder what Urban Meyer would think of his paper doll portrayal? Well, guess I have to erase everything I’ve written down on my Christmas list. The Urban Meyer Super Action Paper Super Doll just came in hot and made everything else this holiday season obsolete. Who wants to get an Xbox One or Playstation 4 when you can have an Urban Meyer Super Action Paper Super Doll? Not only do you get to pretend to be the head football coach at The Ohio State University, but you get to wear a Hakeem Olajuwon sweater that has swag written all over it. This paper doll has more outfits than Barbie or Ken could ever dream of having. Urban Meyer Super Action Paper Super Doll, so hot right now. If I don’t get this doll for Christmas, it’d be like Ralphie missing out on his BB gun, heartbreak everywhere.